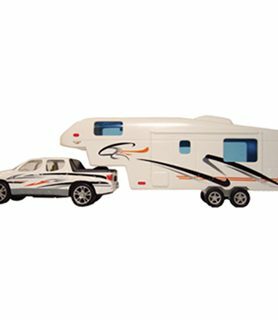 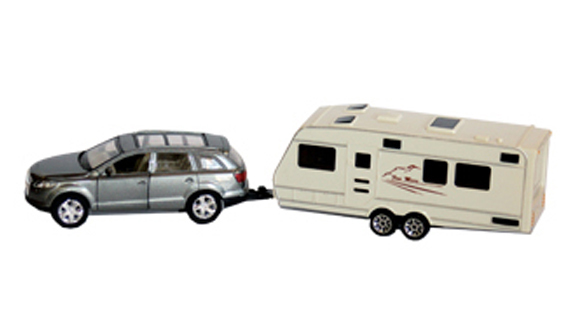 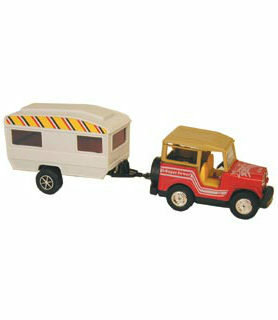 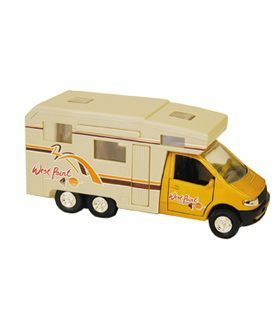 SUV & Trailer Action Toy with pull back action that propels without batteries. 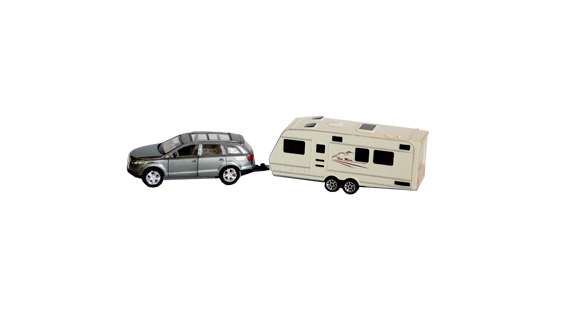 Highly detailed with doors that open on the tow vehicle. 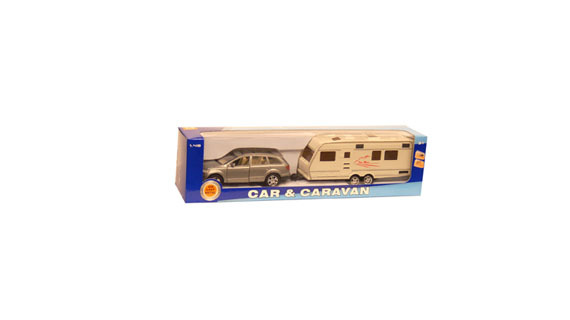 Die cast metal and plastic construction. 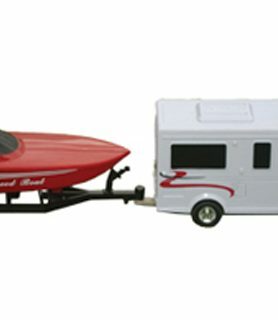 11.5″ L x 2.5 ” H x 2″ W. 1:48 scale. 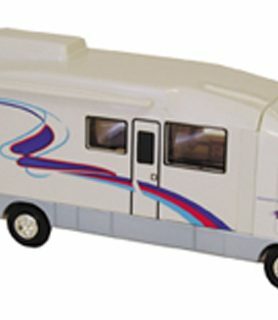 For children 3 years or older.